RAW made its World Premiere in Cannes Critics Week where it won the coveted FIPRESCI Prize, and left audiences aghast with some of the most shocking and powerful on-screen imagery since Gaspar Noe’s IRREVERSIBLE. The atmosphere in the cinema that day was one of the most electric the Monster team had ever witnessed – from the start we could sense a nervous anticipation in the room and then from the very first scene, it kicks you in the head with a power that is raw and fierce. 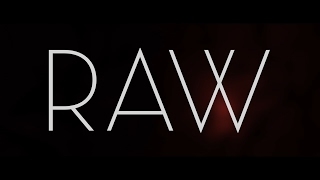 RAW is one of the finest directorial debuts in the genre space in a long time, it tells the story of a teenage girl who joins her sister at a prestigious veterinary college, and is forced to partake in a hazing ritual that sees her defying her vegan upbringing by consuming raw rabbit liver. From here she develops an insatiable desire for flesh – of all types, and what we witness is a coming-of-age like no other, an awakening that is carnal and primal and that takes its central character, and its viewing audience, on a journey that is simultaneously harrowing and beautiful. Filmmaker Julia Ducournau has made a something very special here, a gorgeous cinematic exploration of family and cannibalism, a film that’ll seep its way deep into your psyche and resonate long after the closing credits – make no mistake, this is one of the films of the year. "RAW is a deliciously fevered stew of nightmare fuel that hangs together with a breezily confident sense of superior craft"
"RAW is a huge, satisfying surprise. Highly, highly recommended"
"A cleverly written, impressively made and incredibly gory tale of one young woman's awakening to the pleasures of the flesh"